Blood, sweat and tears, a hard-fought regular season, four straight playoff wins and a two hour bus-ride, all building up to what is likely the most important game of their young careers. 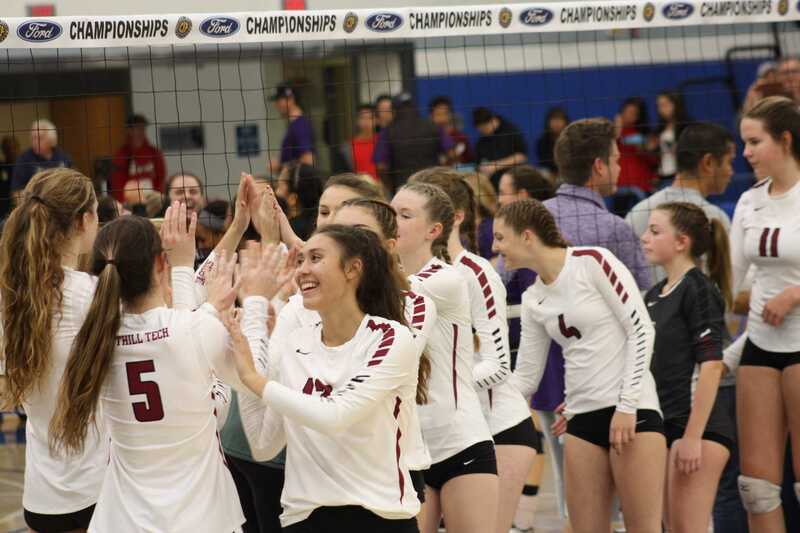 The California Interscholastic Federation (CIF) playoffs concluded on Friday, Nov. 11 as Foothill Tech’s own girls’ volleyball program squared off against Archer School Panthers in a battle of number one versus number two at Cerritos College. 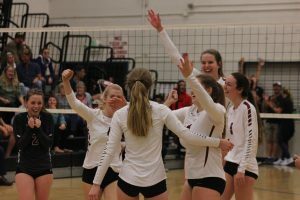 In a drawn out match, the Panthers prevailed 3-1, edging out the Dragons in four tightly-contested sets. Heather Ellison ‘18 started the game strong with an ace which was followed by a kill from Morgan Gallagher ‘18 a couple plays later. The Panthers, however, controlled the set early on, grabbing a 14-7 lead. Lexi Malone ‘19 and Gallagher played big up front to try and stop Archer’s hitters and made a bit of run to cut the lead to 15-17. Haley Higgins ‘19 had a kill to bring the score to 16-17, but the Panthers controlled the rest of the first set, winning 25-20. The second set was one for the ages, and even took an extra point to decide it. Archer started off hot with a quick 10-3 lead, but the Dragons didn’t go away. 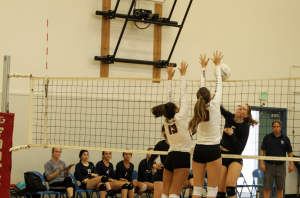 Setter Taryn Savard ‘18 continued feeding her hitters who battled against Panther blockers. Even so, Archer increased their lead to 23-13. Then Foothill launched the run of the game. They unleashed six straight points to get the score to 23-19, but Archer stopped the bleeding with a kill. This didn’t deter the Dragons who then scored five straight to tie it at 24-24. Unfortunately, the rally fell short as the Panthers stole the second set due to a couple of Foothill errors, winning it 26-24. Down two sets to none, the Dragons came out swinging in the third set, determined not to go home. “Our ability to pick ourselves up and continue to fight every point of the match really stands out to me,” Ellison continued. Higgins, Malone, Gallagher and Ellison continued hammering sets home as they went back and forth with Archer. Knotted at 13-13, Foothill scored four in a row to take control of the set. Libero Faith Mackie ‘18 tallied an ace, and the Dragons capped off the third set with a kill from Gallagher, to win it 25-19. 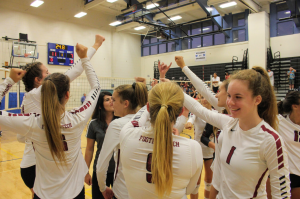 With momentum in hand, Foothill started the fourth set similarly to the third. They battled back and forth, but Foothill rode a 5-0 run to take a 16-11 lead. This was when the Panthers sparked their final run, going on an 11-2 run to take a 22-18 lead. Higgins and Ellison had kills to cut it to 22-20, but Archer put them away, winning the fourth set 25-21, and the match 3-1. 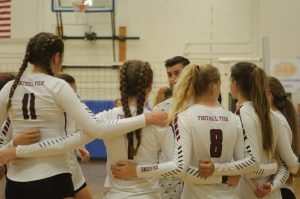 Both the Panthers and the Dragons will get the opportunity to compete in the state tournament this season, so this championship match will not be the last for Foothill Tech’s five seniors. Ellison is very happy with her team’s play this season. 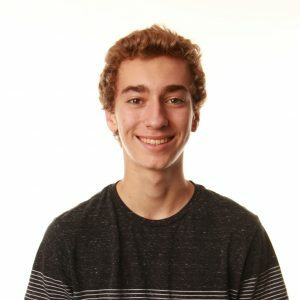 “I would totally say this season was a success. Just four years ago we were starting out this program and we have already made it to CIF finals. 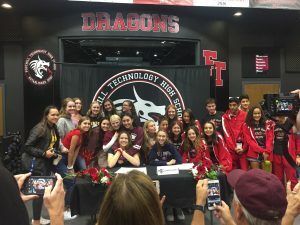 We worked hard all year and will continue to work hard through our state matches,” she said. 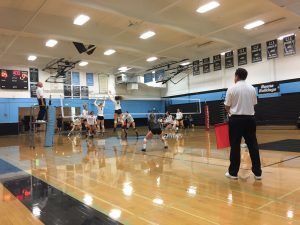 This season will go down as one of Foothill’s best athletic seasons yet, and girl’s volleyball isn’t going anywhere.